Mike Dendy, AMPS CEO interviewed on Bloomberg Radio, “Taking Stock” to discuss the problem and solution to rising healthcare costs in the US. Click on the icon below to listen to the full interview. Is Your Rx Plan Over Compliant and Costly? What constitutes minimum compliance under the Rx minimal essential benefit mandate? Minimum requirements are set by each state. In Texas the minimum benchmark is the BCBS Best Choice PPO – RS26 plan. According to 45 CFR 156.122, to offer essential health benefits, health plans must cover at least the greater of (1). one drug in every USP therapeutic category and class or (2) the same number of drugs in each USP category and class in the state’s benchmark plan. Does your current Rx plan comply or does it over-comply, i.e., more expensive than it is mandated to be? For example, if your current plan covers 20 different medications for a given category when only 10 is the required minimum mandated number, you may want to remove 10 of the more expensive medications from that class. With drug costs accounting for as much as 25% of a plan sponsor’s spend, it may make sense to develop a Minimum Compliant Rx Plan utilizing the least expensive drugs in each therapeutic category and class. Minimum compliance benefits for Texas can be found here – texas-ehb-benchmark-plan (pharmacy is the last five pages). It may make even more sense to subject Rx benefits to a deductible and eliminate co-pays. Consumers would be required to pay cash up front for drugs at the point of sale before filing a claim like in the old days. The shoe box effect, along with the behavioral effect of “skin in the game” at the point of sale should reduce claims even further. Of course our PBM friends won’t like this idea. Neither will HR directors. When people talk about expensive drugs, they usually are referring to drugs like Lipitor for high cholesterol ($1,500 a year), Zyprexa for schizophrenia ($7,000 a year) or Avastin for cancer ($50,000 a year). But none of these medicines come close to making Forbes’ exclusive survey of the most expensive medicines on the planet. Brownsville ISD To Award Contract To BCBS? September 2, 2014 Agenda Item: Recommend awarding CSP #15-033 Third Party Administrative (TPA) Services for the Self-Funded Group Health Plan to BlueCross BlueShield of Texas, Stop Loss to Voya Financial, Basic Life and AD&D Insurance to Aetna Life Insurance for a three (3) year term with an option to renew for two (2) additional one (1) year terms. Editor’s Note: Though this is agenda item calls for approval of BCBS, Don Pedro says “Something tells me, based on ant activity this afternoon, a storm is brewing.” And out he went. Bush regards health care from the perspective of a successful entrepreneur, and sees the health care industry as “the new oil”—a vast landscape of opportunity with untapped potential. All the waste and inefficiency—estimated by the Institute of Medicine to account for one-third of the spending—are gushers waiting to be discovered. “The risk of employer dumping of high-risk employees is hardly exotic. In fact, dumping of high-risk policyholders is merely a subset of the larger insurer practice of risk classification.” Do lasers come to mind? Birth Control Mandate: HHS Offers New Way Out – Will SHS Mandate Be Next Step? The Obama administration took steps Friday it said would ensure that women who work for religious employers will have continued access to cost-free (TAXPAYER FUNDED) birth control coverage, while respecting the views of their employers. Can A Plan Sponsor Eliminate In-Hospital Benefits & Remain Compliant? IN-HOSPITAL BENEFITS EXCLUDED – The calculator has an In-Hospital Services value entry enabling you to eliminate the benefit in the calculation. A new survey by the Texas Alliance for Patient Access shows that Texas ranked second nationally behind California in physician recruitment. The report, titled “The Truth about Texas’ Medical Lawsuit Reforms,” attributes the growth to the passage of medical liability tort reform measures in 2003. Officials say since then, Texas has more doctors than ever treating patients. “That is the exact opposite of what we saw during the crisis years, when the state experienced a per-capita loss of patient care physicians,” said Dr. Howard Marcus, an Austin internist and chair of Texas Alliance for Patient Access in a release. Since 2003, 80 percent of the state’s 22 trauma regions experienced a per-capita gain in physicians. Also, during that same period, 59 rural counties have added at least one emergency room physician, 32 rural counties have added an obstetrician, 24 rural counties have added a cardiologist and 17 counties have added an orthopedic surgeon. One interesting aspect of the report shows that 40 rural counties that did not have a single ER doctor in 2003 now do. Blue Cross Blue Shield was awarded the group health insurance contract last night at the La Joya Independent School District. then became re-insured, can pay enough extra so that the original uninsured can be insured, which will be free of charge to them. BISD Insurance Meeting – Will 10 Minutes Make A Difference On A $50 Million Decision? The Brownsville Independent School District, the largest employer south of San Antonio, is in the process of selecting a record keeper (TPA) for the district’s self-funded employee health plan. Seven proposals were received and ranked. Instead of focusing on the top three contenders, the insurance committee decided to invite all vendors to give a 10 minute presentation as part of the evaluation process. Will 10 minutes make a difference? The Business Of Medical Practice: Transformational Health 2.0 Skills For Doctors by David E. Marcinko & Hope Hetico. Allied National is seizing advantages in Texas with their self-funded “Provider Freedom” plans. Provider Freedom plan sales represent 85% of new business sales for this Kansas based third party administrator. According to sources at Allied National, mid-market cities (Midland – Odessa – Longview) have been stronger markets than the metro-plexes, however traction is beginning to take hold in the larger metropolitan areas as well. The Provider Freedom Plan is not a PPO program and is very similar to Cost Plus Insurance. A Group Medical Plan Without A PPO & No Balance Billing Issues? We have been looking for a stop loss carrier that offers an old fashion participating contract for many months now. Well, we found one. Mystery Re has an experience refund calculation on their stop loss policies. Much like a participating contract without the downsides. Minimum premium is $500k. This carrier also has a “laser pool” for their groups. A participating contract is better than using a captive – no management fees, no capitalization, etc. Editor’s Note: Mystery Re is a pseudonym. Write RiskManager@RiskManagers.us for details. Recently, longtime foil Sarah Kliff (she who couldn’t understand her own Explanation of Benefits) set out to enlighten folks in flyover country on how to negotiate better prices for their health care….. The initiative, launched in January 2013, is one attempt under the Patient Protection and Affordable Care Act to test incentives for providers to more closely control costs. The Local reports that Sergio Canavero, a neuroscientist, said it may be possible to merge bone marrow when fusing one person’s head with another’s spine. Writing for the journal Frontier Neurology, he said that operation could be made possible by using membrane-fusing substances called fusogens, injected between the two stumps. Editor’s Note: Excellent explanation of balance billing and Cost Plus Insurance through Caprock Health Plans. If you don’t have the time to view the entire video, fast forward to the 30:36 minute mark. What Does A Hydraulic Pump & Health Care Have In Common? Living out in the country has challenges most city folk never experience. The first rule of country living is that “things” constantly break and need repair. Not a day or week goes by without some sort of catastrophe that must be addressed for life to get back to normal. It could be a well pump, fencing down, or a worn out hydraulic pump on a tractor. Sure enough, just the other day the hydraulic pump on the tractor suffered a stroke. Living in the country, losing use of a tractor is a serious, serious development needing immediate attention. Loading the tractor on the trailer, a quick trip 37 miles to the nearest Tractor Emergency Room in Victoria, Texas brought anticipated relief that all would be cured expeditiously. I felt we were in good hands, after all these guys are experts in their field. I trusted them. I called the dealer near Austin where I bought the tractor several years ago – his price? A bargain at $1,800! “Let me think about this, a funeral may be cheaper!” I said. I turned to my “Procurement Officer” in Dallas (Number one son-in-law) for help. This guy finds stuff at good prices all the time – every family needs a guy like this. Within a day he found a source for a new hydraulic pump for $1,200, or half of the price quoted by the Tractor Emergency Room doctor in Victoria, Texas and significantly less than the tractor birthing center near Austin. Can A Plan Sponsor Eliminate In-Patient Hospital Benefits Under ACA & Be In Compliance? If fully insured, isn’t the calculator a moot point because hospitalization is an essential health benefit? If self funded, EHBs aren’t required so I’d have to play with the calculator to verify (if it’s even possible to eliminate IP hospital within the calculator). I can tell you that when I played with the calculator when it was released, I found it was pretty tough to not meet the minimum value. Kaiser Health News reported regulators are developing stricter standards to address the concerns of consumers who say that many health plans under the Affordable Care Act have unduly limited their choices of doctors and hospitals, leaving them with unexpected medical bills. Officials indicated the new standards would be similar to those used by the government to determine whether Medicare Advantage plans have enough doctors and hospitals in their networks. The Kaiser Family Foundation is a non-profit private operating foundation, based in Menlo Park, California, dedicated to producing and communicating the best possible information, research and analysis on health. Click here to learn more. RISKMANAGERS.US SOLUTION: Discontinue using PPO networks and pay all medical care givers on a fair and transparent basis using Medicare pricing as the benchmark. 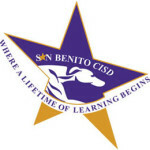 The San Benito CISD Board of Trustees will analyze bids and finalize a decision regarding the district’s future health care vendors on Thursday, Aug. 7, at a special board meeting. Earlier this summer, SBCISD advertised an open request for vendor proposals for the following services: Stop loss insurance; diabetic supplies, pharmacy benefits manager, third party administrative services for employee benefit plans; and cafeteria and voluntary plans. Ohio’s Largest School Districts Face Exploding Health Care Costs – Can Mueller Save The Day? COLUMBUS, Ohio – Over the next five years, leaders of Ohio’s 10 largest school districts expect their costs for employee retirement and health insurance benefits to increase by an average of 29 percent. The County of Willacy reserves the right to reject any or all proposals or any portion thereof and to accept the proposal most advantageous to the County. MyHealthGuide Source: United Claim Solutions, 8/1/2014, www.unitedclaimsolutions.comPHOENIX, AZ — United Claim Solutions (UCS), an innovative Medical Cost Reduction and Claims Flow Management company has developed aggressive PEPM pricing for Clients interested in using a percentage of Medicare as an alternative to PPOs, or to reprice out-of-network medical bills. “We’ve identified a need to offer Medicare repricing services at rates that are cost effective, and enable Clients to budget expenses. Today our Clients can select from several Medicare pricing solutions, including a PEPM fee to reprice medical claims as either a PPO alternative or for out-of-network medical bills. This can be for repricing services only, or can include Patient Advocacy, including direct negotiations when appropriate. We see this as the next logical step in making this solution affordable for Clients who wish to be more aggressive in keeping costs down”, said Joshua Carder, President at UCS. Contact Corte Iarossi, VP of Sales & Marketing at 866-762-4455 x 120, ciarossi@unitedclaim.com and visit www.unitedclaimsolutions.com . TaxpayerRe – New Stop Loss Carrier? Humana (NYSE:HUM) could be on track to get a total of $575 million to $775 million in Patient Protection and Affordable Care Act (PPACA) three R’s money for all of 2014. Roughly three-quarters of the money could come from a temporary PPACA reinsurance program. Aetna may get $50 million and Assurant hopes to get $140 million from TaxpayerRe.